NOVUS music incubator is back and is looking for the most exciting acts from the BALTIC countries. Yes, you got that right – Lithuanians, Latvians and Estonians are going to compete for the best band title at NOVUS. The project is searching for a new talent and provides an opportunity for musicians to perform on a professional setting at Art Factory LOFTAS. 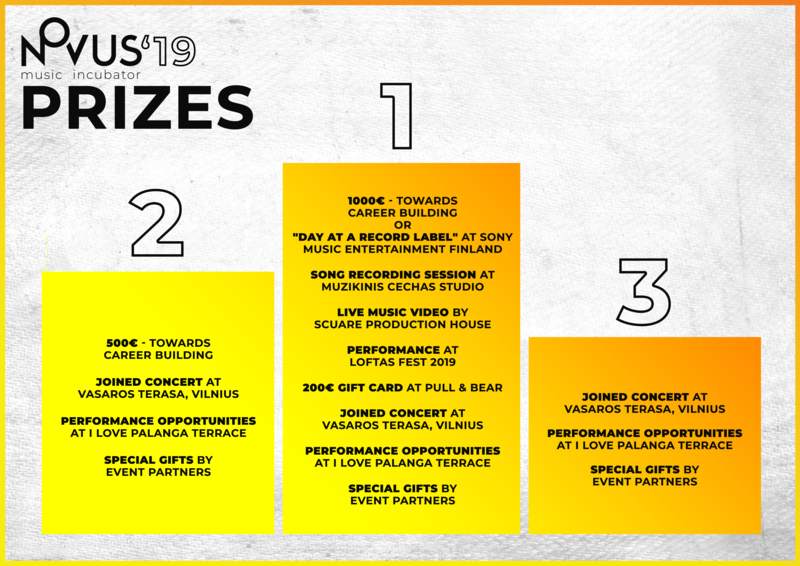 Contest participants, evaluated by music industry experts, will receive various prizes, honour and opportunity to attract and captivate huge audiences. NOVUS competition for up and coming bands seeks not only to discover, but also to encourage the most promising music talents. - 1000€ towards career building. - Professional music and video recording. - For more see below. CONTEST: Benas Aleksandavičius, "ba." band leader. STAGES: act selection stages, 2 semi-finals, 1 grand final. Every act has no more than 15 minutes to perform their music. Participants must perform only their original material. Every Thursday competing acts will announce their invitation video to their Tuesday performance on the Facebook event page. The act that gets the greatest number of Likes will perform the last, while the act with fewest Likes on their invitation will perform first. NOVUS music industry experts team will vote according to the quality of the performance, musical creativity, stage presence, and self-promotion before the event. The competing will be recorded and a video of one song by every act will be shot and uploaded to NOVUS Youtube channel every week; the songs will be chosen by the acts. The acts will be contacted personally regarding their transition to the following steps of the competition. Special offers and latest news about NOVUS.